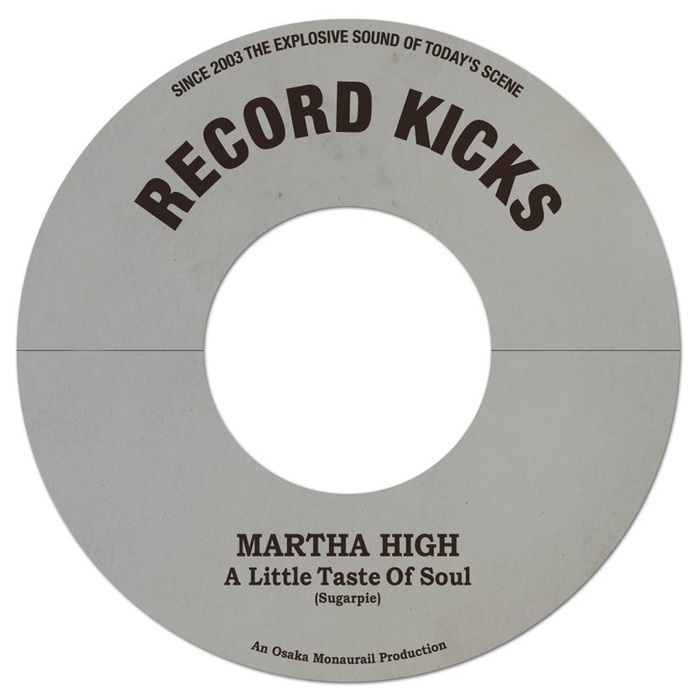 Since 2003, Record Kicks has been the "explosive sound of today's scene" and, by the looks of this latest nugget from Martha High, they're right on track to fulfill that promise! The talented US vocalist was on the front row of James Brown's hits in the 60's and 70's, but she's since then focused on her own glorious soul material. "A Little Taste Of Soul" comes as a ray of shining light on a wet October afternoon, full of funky sensibility and heartfelt vibes, making for the perfect dance number for those looking for that groovy thang. For the B-side, "Unwind Yourself" slows the tempo down, breaks up the groove, and unleashes High's Goddess-like voice amid those tasty breaks - what a winner!